Electric locomotives define efficiency. Even today, no other type can match their low operating costs, high tractive efforts, and swift acceleration. However, they do carry a substantial downside; the implementation capital is so high railroads find the justification to do so difficult. This sticking point has caused electrification to remain elusive more than a century after it was first employed despite talk it would one day reign supreme. During its height patches of railroad across the country were energized, from Pennsylvania's Northeast Corridor to Milwaukee Road's Pacific Coast Extension. The first electrics date back to 1879 when Werner Von Siemens successfully demonstrated the technology on a small railway in Berlin, Germany. But here in America is where electrification was pioneered for use in main line/heavy haul applications. The Baltimore & Ohio gained acclaim as the first Class I to electrify a short stretch of its Baltimore trackage in the 1890's. Today, only Amtrak and light-rail-transit (LRT) passenger services maintain electrified operations. While Siemens is credited with introducing electric locomotion at an exhibition in Berlin, Germany during 1879 the electric motor has a history tracing back much further than one might think. In their authoritative book, "The Electric Interurban Railways In America," authors Dr. George Hilton and John Due note the following: "The electric motor had been in existence, at least in rudimentary form, as early as the 1830's; in 1835 the Vermont blacksmith Thomas Davenport exhibited an electrically propelled toy train in Boston and Springfield. In 1842, the Scottish engineer Robert Davidson operated an electric locomotive from a battery at four miles per hour on the railway between Edinburgh and Glasgow. (Source: Robert Routledge, Discoveries And Inventions Of The Nineteenth Century, 12th ed [London: Routledge, 1898], p. 454)...A series of improvements occurred beginning around 1845 that culminated in Pacinotti's development of the continuous-current dynamo in 1860, and in the announcement of the self-excitation of field magnets in 1866-1867 by several independent inventors: Sir Charles Wheatstone, C.F. Varley, William Ladd, Werner von Siemens, and Moses Farmer." Following their work was Zenobe Gramme's introduction of the first commercially viable generator in 1870 while reversibility was achieved two years later. Within a decade these technologies had found their way to America; in 1880 Thomas Edison tested an experimental electric locomotive, powered by a dynamo, on a stretch of track in Menlo Park, New Jersey. However, he never attempted to market his concept. Interestingly, the modern electric locomotive developed from the interurban/streetcar movement. This industry would largely disappear by World War II but during the late 19th century contained great hope for a prosperous future. As Peter Hain points out in his book, "Frank K. Hain And The Manhattan Railway Company: The Elevated Railway, 1875-1903," Sprague is recognized as the father of electric traction. He was born in 1857 and a future graduate of the U.S. Naval Academy. Following his time in the service he joined the Edison Company in 1883 to work on electric motors. A year later he set off on his own by incorporating the Sprague Electric Railway & Motor Company. In 1886 he introduced a testbed motorcar for the New York Elevated Railway whereby the direct-current (DC) motor was situated between one of the car's axles. The "nose suspended" or "wheelbarrow" method for mounting motors geared to the axle solved problems which had plagued designers for years. Sprague failed to interest the New York Elevated but others were impressed. He eventually secured a contract in May of 1887 with the Richmond Union Passenger Railway in Virginia to provide cars for its operation. It opened on February 2, 1888 and proved successful. This gave way to the typical streetcar which became such a common sight throughout America. Dr. Hilton and Mr. Due note that shortly after Sprague's successful work in Richmond some 200 streetcar operations, "..were built or ordered, about half built by Sprague himself and 90 per cent based on Sprague's patents." In his book, "Electric Locomotives," historian Brian Solomon points out the first known use of a "heavy rail" electric locomotive took place in 1893 when General Electric manufactured a small, 30-ton machine featuring two axles. A year later it built another which utilized a pair of trucks and nose-suspended traction motors. Main line electrics did not appear until 1895 when the Baltimore & Ohio opened a stretch of energized territory in Baltimore known as the Baltimore Belt Railroad (or "Belt Line"). The railroad's "Official List No. 29" issued January 1, 1948 notes the territory covered 7.2 miles from Milepost 90.7 at Bay View, Maryland to Milepost 97.9 at Hamburg Street, Baltimore, of which 4 miles was electrified. According to the book, "Baltimore & Ohio Railroad," by Kirk Reynolds and David Oroszi the Belt Line was needed to close a gap between the Washington-Cumberland route and the new rail line to New York. Even by that era urban residents had grown increasingly fed up with the constant noise, soot, and smoke associated with steam locomotives. As a result the B&O, seemingly always the technological trailblazer, came up with a plan to electrify the corridor. In particular was the 1.4-mile long Howard Street Tunnel, which passed directly beneath the city. Perhaps most interesting is that it leaned heavily on the work of early streetcar/interurban operations. Components for the 600-volt, direct current (DC) system were provided by General Electric including the original three, steeple-cab locomotives capable of producing 360 horsepower via four gearless motors. The Belt Line opened on May 1, 1895 although initially employed coke-fired steam locomotives (which produced less smoke) until the electrics had arrived on June 27th. Electrification officially launched on July 1st, originally featuring overhead catenary (energized wires for electrical pickup, strung above the roadbed and supported by trolley poles). However, by 1900 the B&O had replaced this setup with an under-running, third-rail system. The railroad went back to GE for more locomotives in 1912, 1923, and 1927. Its electrification remained in use until the 1950's when it was replaced by diesel locomotives. Another early proponent was the New York Central. As historians Brian Solomon and Mike Schafer note in their book, "New York Central Railroad," the NYC had closely watched the B&O's work during planning of a new terminal on Manhattan Island to be served by electrification. Sadly, while these studies were ongoing a serious accident occurred inside the Park Avenue Tunnel on January 8, 1902 when an inbound train missed a stop signal and plowed into a fully loaded New Haven commuter consist. The cause was heavy smoke impairing the engineer's vision and the subsequent outcry banned steam locomotives throughout the city by July 1, 1908. Efforts to electrify were expedited after the accident. The NYC ultimately based its design from the B&O's utilizing a 660-volt DC, "under-running" third-rail system (This was an electrified rail, picked up via a "shoe" equipped on the locomotive, and covered by a wood plank. The latter not only reduced the chance of accidental electrocution but also kept debris or weather-related issues from fouling the system.). The project was launched in 1903 and opened for service on September 20, 1906 between Grand Central Station (later Grand Central Terminal) and High Bridge (7 miles). In the succeeding three decades Central extended the network, including portions of the Harlem Line and Putnam Division, until it boasted around 70 route-miles of electrified territory by 1931. The densely populated Northeast featured the greatest concentration of electrification throughout the country; in July of 1907 the New York, New Haven & Hartford opened its first segment between Woodland Junction, New York and Stamford, Connecticut. The railroad was the region's preeminent commuter service, boasting a high-speed main line between New York and Boston while serving numerous surrounding communities. Its 11,000-volt AC, 25-cycle, single-phase system was eventually strung from New York to New Haven with appendages reaching Danbury and New Canaan, Connecticut. Alternating-current (AC) was developed, and championed, in the late 19th century by George Westinghouse as a substitute to General Electric's direct current technology. The two became long-time rivals even after signing a patent pool in 1896 granting each the right to sell either type. Since direct current was the established method and relatively easy to implement it took some time for Westinghouse to gain a following for his system. Alternating-current carried several advantages over DC including no substations to maintain sufficient supply, voltage could be carried over long distances without power loss, and availability of more powerful induction motors operating at a constant speed and torque. AC did have one notable drawback, it was relatively complicated although as technology advanced it became better understood (by the 1920's refinements enabled DC traction motors to utilize AC power). Electrics are categorized using a unique system, somewhat similar to how steam locomotives are classified. 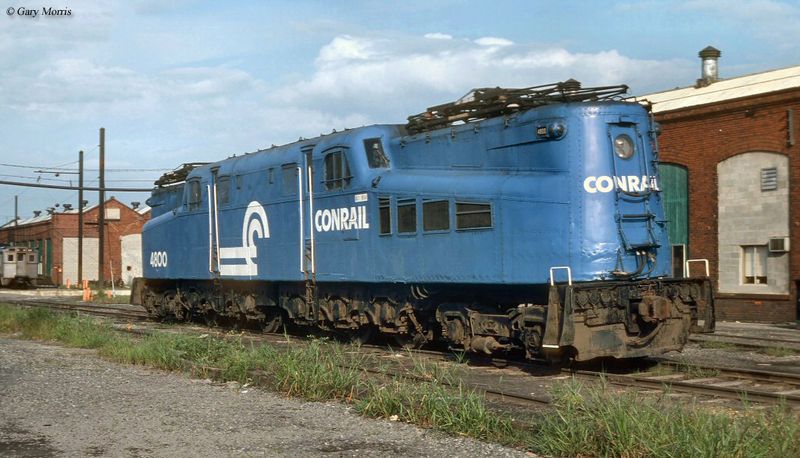 As an example, take New York Central's original 1-D-1 motors. This odd set of numbers and letters designate powered and unpowered axles. ; unpowered are classified using numerals whereas powered axles feature letters. So, in the case of the 1-D-1; the “1” refers to one unpowered axle located on each end of the locomotive and "D" notes four powered axles. Going further, the letter "A" is a single powered axle, "B" two powered axles, "C" equals three powered axles, and so on. While at first this may appear tricky the system is actually quite simple once the basics are grasped. 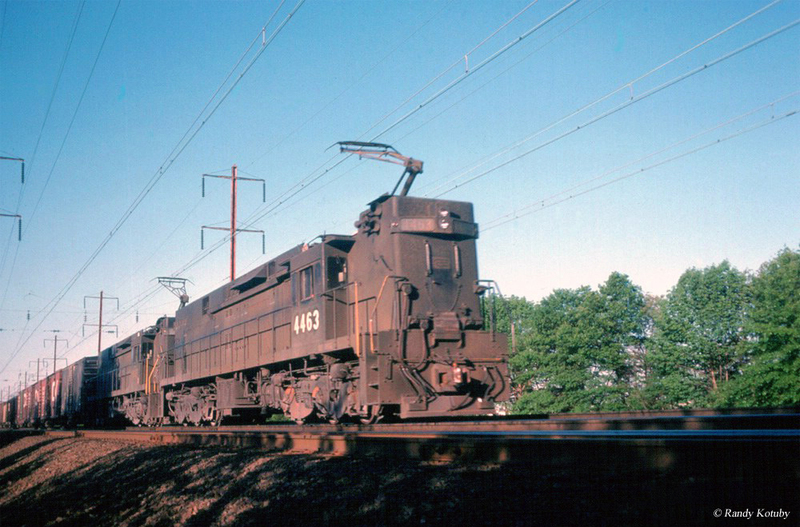 As AC technology gained widespread use some very powerful locomotive types sprang forth such as the PRR's successful GG-1 line, New Haven's EP-5 "Jets," and Virginian's EL-C rectifiers. Direct current remained preferred by some for its ruggedness and simplicity. 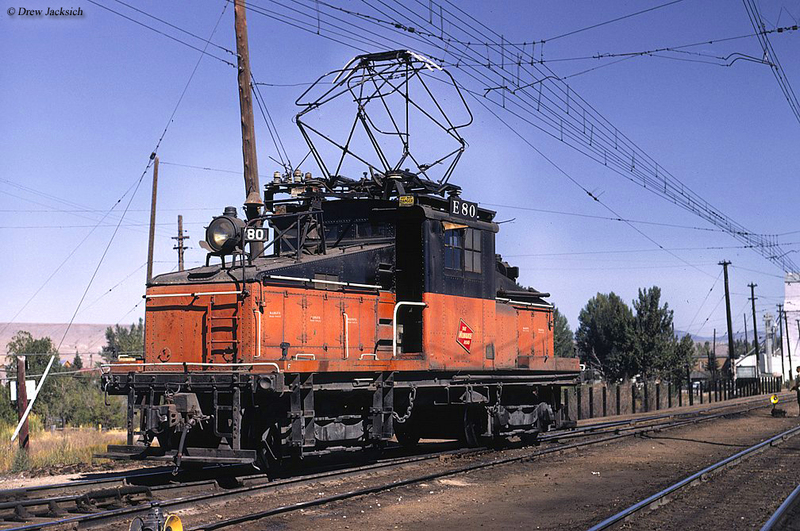 The greatest example was Milwaukee Road's famously well-built, 3,000-volt operation strung across Montana, Idaho, and parts of Washington spanning 660 miles. Also, many interurbans carried direct current systems. Despite America's pioneering ways with electrification there was never any uniformity established. As Mr. Solomon's book notes three were three types ultimately employed; direct current, single-phase alternating current, and three-phase alternating current (only Great Northern used this system during electrification of its Cascade Tunnel in Washington State). 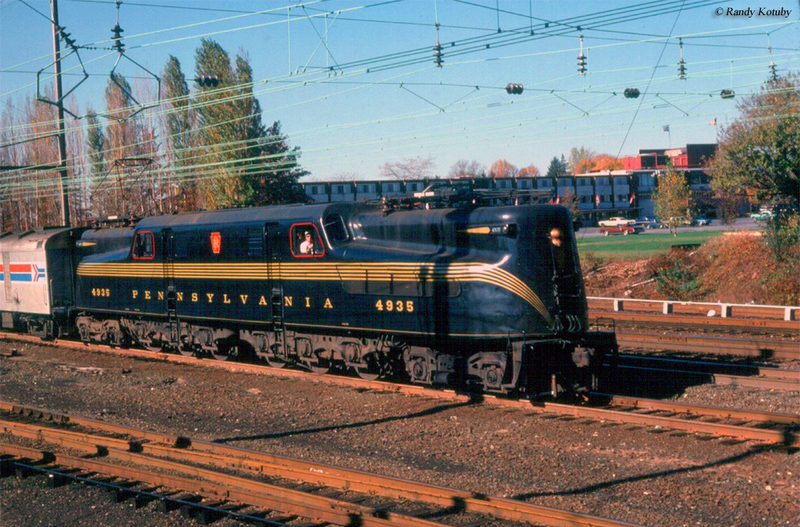 These were broken down based on power output; low-voltage DC (B&O, New York Central, and most interurban/streetcar systems), moderate-voltage DC (Milwaukee Road), and high-voltage AC (New Haven, Virginian, Pennsylvania, Norfolk & Western, and Great Northern). During the early 20th century a handful of other carriers electrified portions of their main lines either for long-haul service or suburban operations such as the PRR, Lackawanna, Illinois Central, and Reading. Finally, coal-hauler Virginian Railway, a regional pike connecting the ports of Newport News/Norfolk, Virginia with the coal fields of southern West Virginia, energized its main line from Roanoke to Mullens, West Virginia in the mid-1920's utilizing a 11,000-volt AC system with powered supplied by its own plant at Narrows, Virginia. For purposes of this site the surviving electric locomotives listed here were built during the 1960s and before. Unfortunately, because electrics use an expensive and special power source (overhead wires or third rail) virtually none of the classic models which survive remain in any kind of operational status (one exception is South Shore "800" #803, operational at the Illinois Railway Museum). In any event, thankfully many of the most famous motors have been preserved in some fashion such as Pennsylvania GG1's or Milwaukee Road "Little Joes." This list will be categorized by those railroads that owned electrics and those which survive. One final note, the locomotives listed below are those which served in main line freight service and does not include trolley or interurban cars. Class 2-D+D-2 "800" #803: On display and operational at the Illinois Railway Museum. Class B #1565: Operable at the Illinois Railway Museum. Class EF-1 Boxcab #50: Stored indoors and cosmetically restored at the Lake Superior Railroad Museum in Duluth, Minnesota. Class EP-2 Bi-Polar E-2: E-2 is the last surviving Bi-Polar on static display at the Museum of Transportation in St. Louis. Class EP-4 Little Joe #70: Last surviving of its kind on static display in Deer Lodge, Montana. Class S-1 #100: NYC’s first S-motor remains preserved but is not publicly displayed. Class S-2 #115: On display at the Illinois Railway Museum. Class B1: At least one B1 survives indoors and cosmetically restored at the Railroad Museum of Pennsylvania in Strasburg. Class DD1: At least one DD1 survives indoors and cosmetically restored at the Railroad Museum of Pennsylvania in Strasburg. Class E44: At least one E44 survives indoors and cosmetically restored at the Railroad Museum of Pennsylvania in Strasburg. Class GG1: Along with Old Rivets surviving GG1s include (per their original PRR numbers) 4859, 4876, 4877, 4879, 4882, 4890, 4903, 4909, 4913, 4917-4919, 4927, 4933, and 4935. Class EL-C/EF-4/E33: Two of these locomotives survive: #135 at the Virginia Museum of Transportation in Roanoke and #131 at the Railroad Museum Of New England/Naugatuck Railroad at Thomaston, Connecticut. Commonwealth Edison #4, "Steeple Cab": On display at the Illinois Railway Museum. Cornwall Street Railway & Light Company #14, Class B-1: On display at the Illinois Railway Museum. Iowa Terminal Railroad #30, "Steeple Cab": On display at the Illinois Railway Museum. Hutchinson & Northern #1: A small steeple-cab design built in 1921 by General Electric and remains preserved and operational at the Orange Empire Railway Museum. Milwaukee Electric Railway & Light Company #L13, "Steeple Cab": On display at the Illinois Railway Museum. Milwaukee Electric Railway & Light Company #L10, "Steeple Cab": On display at the Illinois Railway Museum. Sacramento Northern #653: A small steeple-cab design built in 1928 by General Electric and remains preserved and operational at the Orange Empire Railway Museum. Sacramento Northern #654: A small steeple-cab design built in 1928 by General Electric and remains preserved and operational at the Western Railway Museum. Union Pacific E-100: Originally Glendale and Montrose Railway #22, later sold to Yakima Valley Transportation and renumbered 297, which was purchased by Union Pacific. It is preserved and in operation at the Orange Empire Railway Museum. Wisconsin Electric Power Company #L4, "Steeple Cab": On display at the Illinois Railway Museum. Wisconsin Electric Power Company #L7, "Steeple Cab": On display at the Illinois Railway Museum. Yakima Valley Transportation #297: Originally built by Baldwin-Westinghouse this B+B design remains preserved in its YVT colors and is operational. Electrification holds notable advancements in the future of diesel-electric technology. First, Mr. Sprague is credited with developing a electro-pneumatic multiple-unit control system during work on New York Central's first locomotive, 1-D-1 #6000, constructed in 1904. Also known as simply "MU" it enables the engineer to control all of the locomotives in a consist from the lead unit. This system was incorporated into the diesel's development. Second, when GE and Westinghouse battled for supremacy each needed a manufacturer to build their locomotives. The former partnered with the American Locomotive Company to construct DC-equipped units while the latter engaged with Baldwin Locomotive Works in development of AC motive power. These partnerships remained the diesel-electric era and Westinghouse went on to purchase Baldwin in the early 1950's (it exited the market entirely a few years later). Because of the astronomical implementation costs railroads chose only to employ electrification when significant savings could be achieved, and only over short distances,. Today, energized freight service is all but extinct. 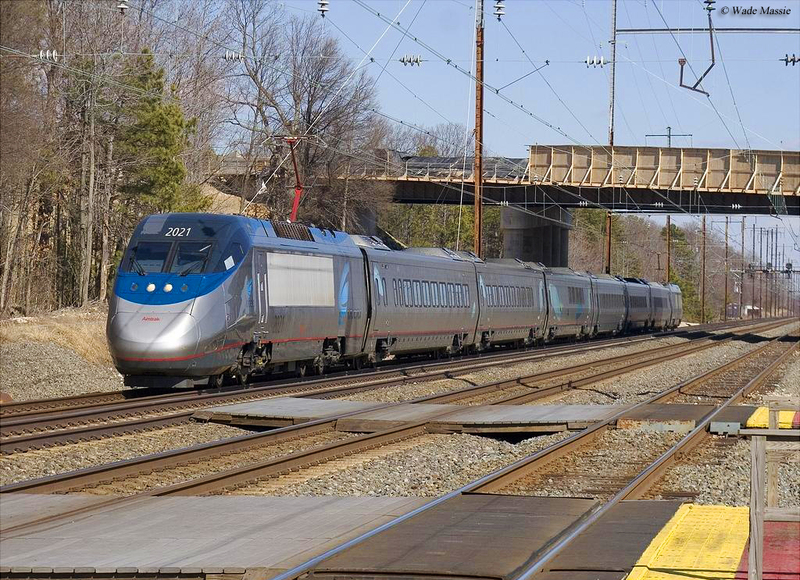 However, Amtrak operates significant intercity operations throughout the Northeast while light-rail-transit system and subway operations can be found scattered here and there. The newest types have advanced immensely since private involvement ended during the 1980's like Amtrak's ALP-44 and HHL which boast over 4,000 horsepower via a three-phase system carrying tractive efforts greater than 150,000 pounds. However, all are manufactured outside of America by European firms ASEA, Alstom, and Siemens. Fast, powerful, and efficient motors are a very unique and interesting aspect of our nation’s rail system despite their rarity.